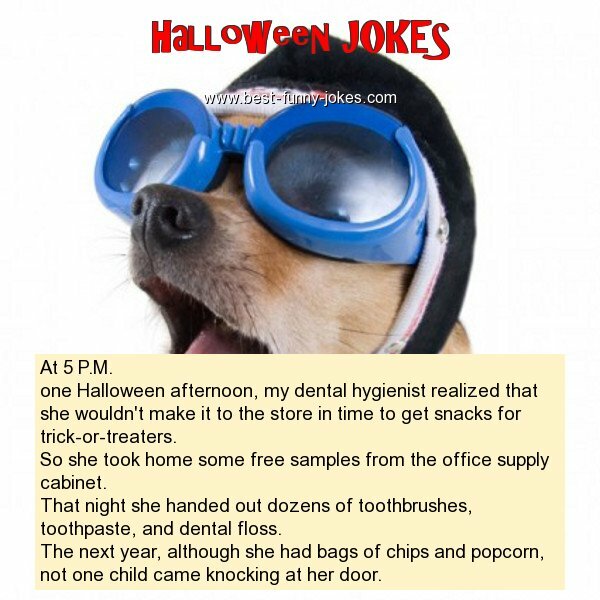 one Halloween afternoon, my dental hygienist realized that she wouldn't make it to the store in time to get snacks for trick-or-treaters. So she took home some free samples from the office supply cabinet. That night she handed out dozens of toothbrushes, toothpaste, and dental floss. The next year, although she had bags of chips and popcorn, not one child came knocking at her door.